Is your CIO about to leave? Does it matter? What does a CIO's 360 review even look like? Effective CIOs need more than a performance review or even a 360 review. They need regular feedback and more management by walking around. While some organizations are beginning to question the value of annual performance reviews, the ritual persists at just about every business. A key element at many organizations has become the so-called 360 review. Amazingly this idea was actually developed in the 1950s, but they proved expensive and did not really take off until technology allowed them to be automated. Imagine making manual calculations and aggregations of performance on paper. But the question is whether these are valuable to CIOs trying to better align with their business colleagues. This is the question that I posed last week to the #CIOChat. Who should be in a CIO 360? I stared the discussion on CIO 360s by asking CIOs exactly who should be involved in one. CIOs felt it should include a wide mix of people. It should clearly go up, down, and across the organization. CIOs want it to include line of business leaders, representatives of service lines that the CIOs interact with, and the C suite. At the same, CIOs want their key reports to be involved in a 360. They also feel that it should include a mix of individual contributors. They share that key influencers are often not titled. Here, CIOs said the who of the 360 should always be changing depending on events, projects, or milestones. It increasingly should include customers. CIOs finally should be self-assessing. Effective leaders need to be self-aware and to use this knowledge to make course corrections. What question would be most valuable for CIOs to hear in a 360 process? CIOs were pretty consistent in their answers here. They want to know whether the rest of the business believes IT is aligned with the vision of the company. They wanted specifically to know if IT products and services support company goals and objectives and create a platform for growth and innovation. As a part of this, they wanted to know if their colleagues believe that IT adds value to their organization. In particular, CIOs want to know if they see them as a champion of innovation and a change agent for the company’s clients, employees, and board/shareholders. If this isn’t the case, CIOs want to know what their stakeholders think they are stopping them from doing and most importantly, how they can win back these colleagues trust. Some CIOs also want to know two more things. They want to about their colleagues’ perceptions about their emotional intelligence and about whether they have enough visibility into the IT roadmap for their organization? How often should CIOs be asking for a 360? In terms of a formal 360, CIO say once a year or after an organizational change. CIOs say if you need them more than once a year, this means that you are doing stuff wrong. They also say the more 360s you ask for, the less effective they are. However, at this point, CIOs suggested something interesting. They said that they really want what one CIO labeled a 460. When asked what the extra 100 degrees means, I was told it is about making feedback a habit and not an event. Doing this means getting out with internal and external customers and stakeholders on a regular basis. It involves accepting feedback as gift. It means make a commitment to change. Effective CIOs clearly want constant 360 feedback. They don't wait for it. They ask for it. They believe that yearly diagnostics are not a substitute for Management by Walking Around (MBWA). They see MBWA as the single best way to know. From personal experience, I can share how important this is. Several years ago, I was working with major university hospital. I work with two units at the hospital. One delivered incredible patient experience and had great nurse engagement. The other unit did not. There was one major difference between the units. The manager of the engaged unit walked around, knew her team on a first name basis, and recognized her team members regularly. The other manager was mostly in their office and unseen by her team. Effective CIOs know this and they know that they need to be approachability, transparent, and living the message that they share with their team. As well, they solicit regular and critical feedback. They know that getting feedback can involve effort, but they believe there is value to know their backhand. How should CIOs let their organization know about improvements resulting from their 360 process? 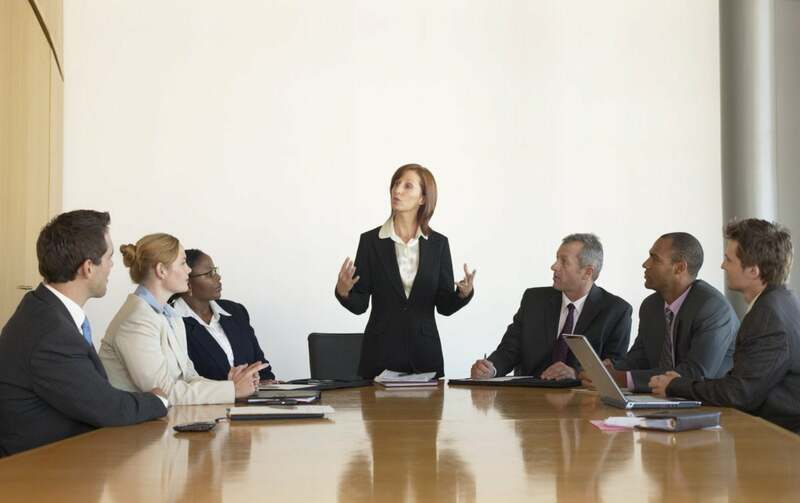 It is important for CIOs be regular communicators to their organizations. Key findings need be defined and measures for improvement created. CIOs believe in reporting against them. CIOs should promote success via channels that fit with their organizational culture. And for larger organizations, CIOs be leading transformation programs, and these often require external marketing/communication approaches. After all, transformation involves change for people and process. Being an effective communicator can be the difference between success and failure with change. It seems clear that effective CIOs are regularly asking for feedback from their organizations. They do not wait for a formalized review process. They want to know whether their organization is adding value and where the gaps are. And they succeed by regularly communicating the value generated and seeking feedback through management by walking around.